This morning after breakfast we said goodbye to Shalmi, presented him with our individual thank you letters, took our final group picture and had a group hug. Today we spent the final day of the 2017 Holocaust Study Tour with our guide, Yola, walking and learning the history of Krakow and the Wawel Castle district. As has been for the past several days, it was cold and windy, but at least there was no rain. 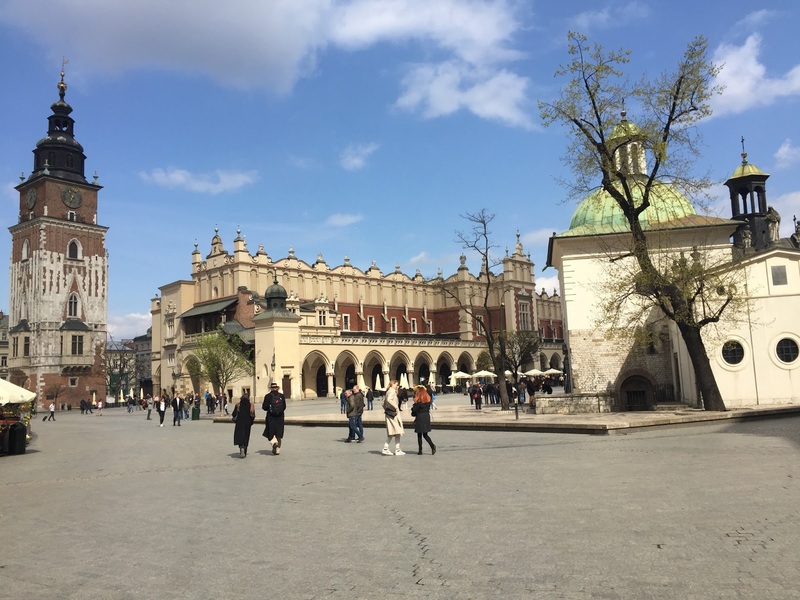 Unlike Warsaw and most other Polish cities, Krakow had not been destroyed by the German army in their war to occupy Poland, because the Nazis had decided to make Krakow their headquarters. Most buildings in Krakow, therefore, are the original buildings. Our first stop was Wawel Castle where we saw the fire-breathing Krakow dragon and learned how it came to be the symbol of the city. We saw the Royal Palace and the statue of Pope John Paul II that stands outside Wawel Cathedral. Also outside the cathedral, Yola pointed out an odd assortment of massive bones that are chained to the wall above the door. While some claim these to be the bones of the Wawel Dragon, they are believed to be a blue whale, woolly mammoth, and rhinoceros. 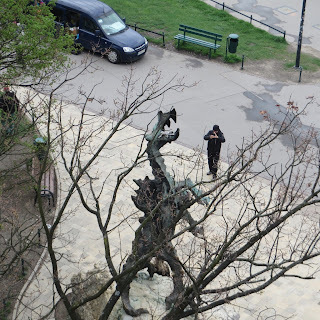 She told us it is believed they have magical properties, and are credited with protecting the city from destruction during centuries of Polish partition and during WWII when Krakow was not damaged, while almost every other major city in Poland was decimated. She said that it is believed that when the bones fall, it will be the end of the world. From here, we walked back to the Market Square, and enjoyed an afternoon that included lunch and shopping for souvenirs from beautiful Krakow, before heading back to the hotel to prepare for our final dinner this evening. It was fun reading and commiting on all of the experiences that you guys witness and posted each day. wow! This is an awesome place, i love it. The market square is the best place. How far did you walk to get there. Lunch and shopping sounds like a perfect vacation. waoo nice post abouit "Day 14 - Krakow, Poland"